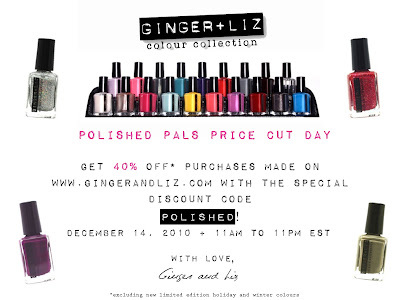 As I said, I haven't had a chance to grab some Ginger + Liz, but today sounds like a good day! From 11 am until 11 pm EST, you can get 40% off your purchases. Check them out!